It is hoped that the postmark will not only be seen by millions of people but also encourage people, young and old, to get involved with the event to prove that writing matters by sending letters to loved ones and friends. “Letters are an enjoyable way to share emotions and stories with people you care about and vital to receiving important correspondence. We’re excited to be a part of that. 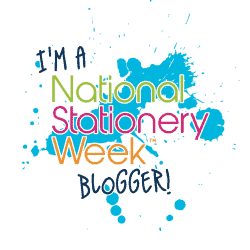 National Stationery Week runs from Monday 24 April to Sunday 30 April and is the annual consumer campaign celebrating all things stationery and proving that ‘Writing matters’. The campaign is sponsored by Sheaffer and Nu: Notebooks.